After our joint class today, I found myself reflecting on the notion of “re-education.” As a theatre major, I find it extremely that a large portion of the “academic” (for lack of a better word) structure in the camps was theatrical. For example, the prisoners would put on plays that they themselves wrote, always of course within the constraints of soviet political ideology. 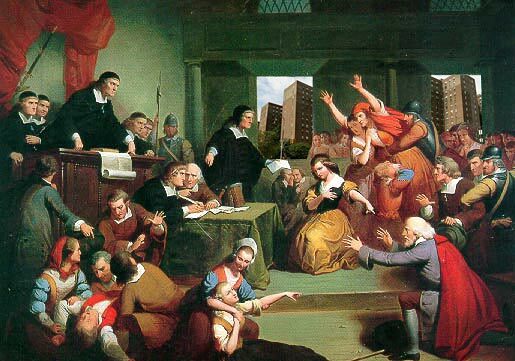 Both the “The Great Cat Massacre” and “Through the Prism of Witchcraft” deal with the issue of witchcraft during the seventeenth and eighteenth century and the underlying causes, problems, and social issues within the societies where accusations were common. These articles both work to disprove the commonly held beliefs that witchcraft accusations were primarily made against women and that the massacre of cats in France was solely due to a revolt against the social hierarchy. After reading Darton’s “Workers Revolt: The Great Cat Massacre of the Rue Saint-Severin”and Kilvelson’s “Through the Prism of Witchcraft: Gender and Social Change in Seventeenth-Century Muscovy,” I was struck by the common thread between the two: that the phenomena they examine are not taken at face value, but are rather viewed as expressions of social angst. I’ve gotten a little behind on blogging (sorry Qualls!) but not for lack of interest. If anything, this course is getting increasingly interesting for me, I’m going to be pretty upset when its over and done with… typical nerd problems. In Stalin’s post-war speech, we saw how he used Soviet success in WWII to prove the superiority of the Soviet system. He argues that, despite the initial assertions of foreign governments and journalists, the Soviet Union is stronger and vastly superior to capitalist nations. It is hardly surprising that Stalin would use the opportunity of Soviet success and sacrifice in the battlefield to reassert the legitimacy of the Soviet government.